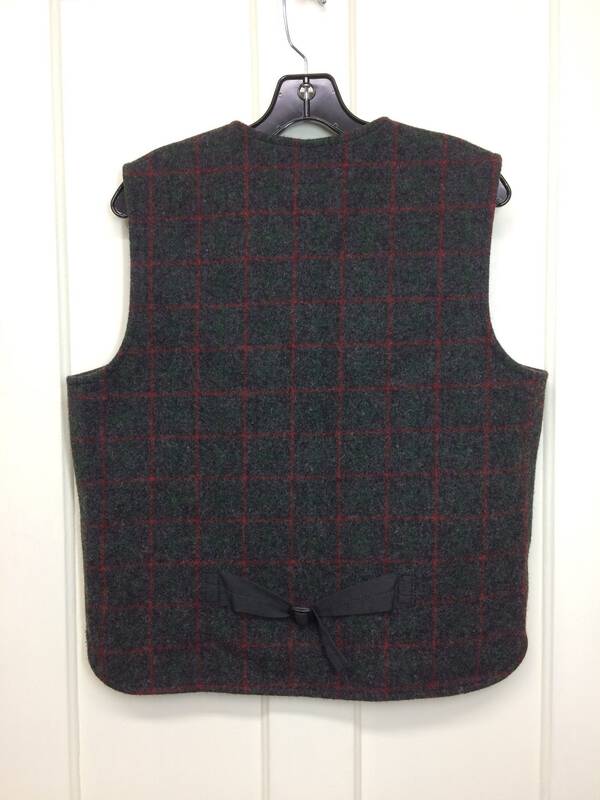 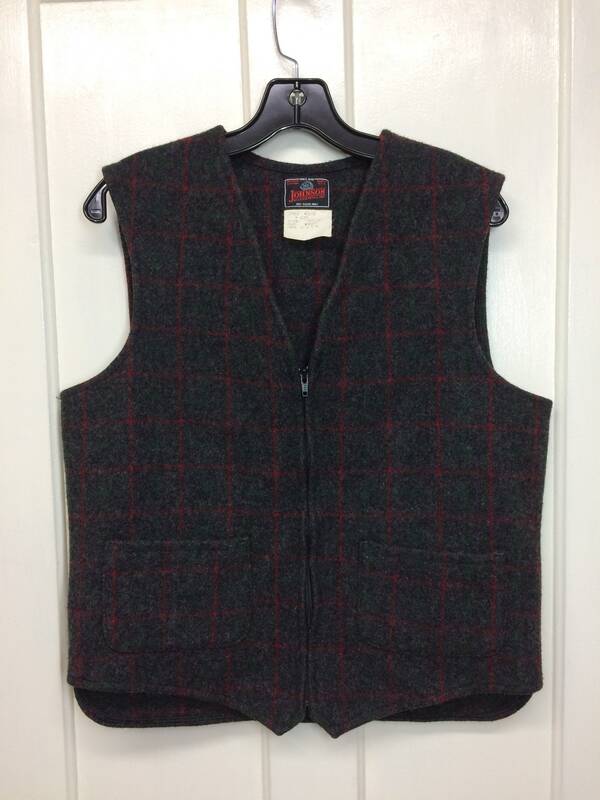 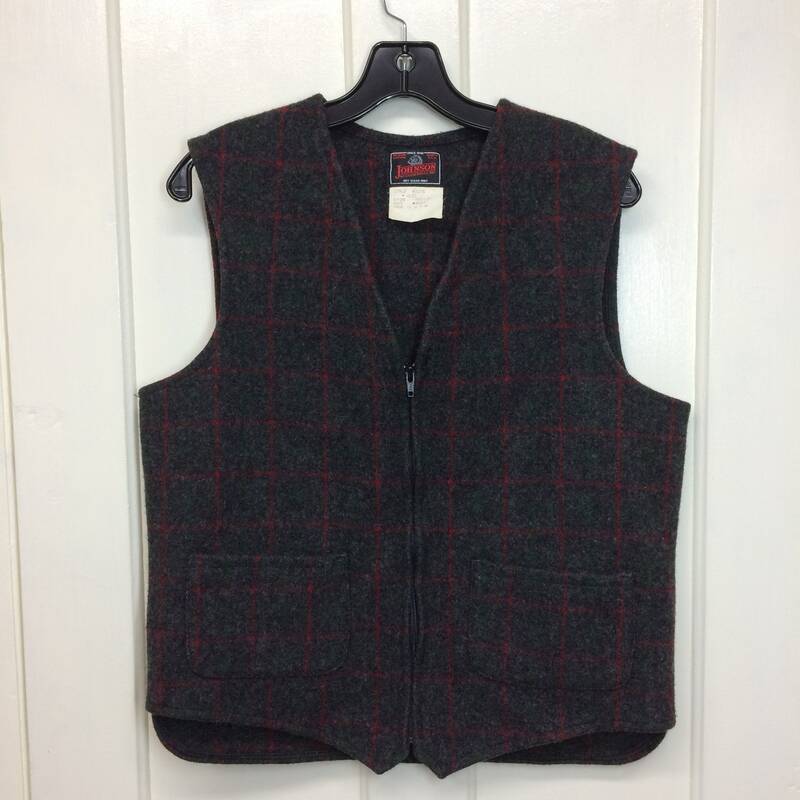 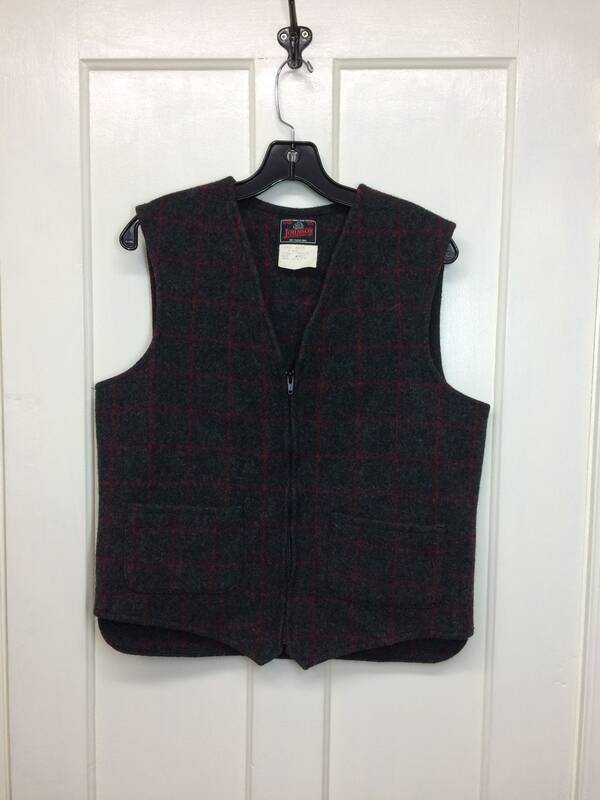 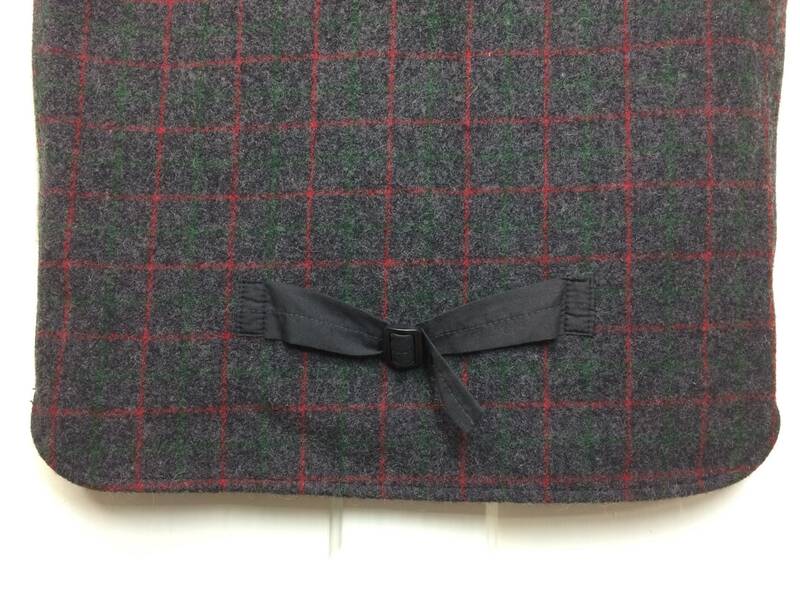 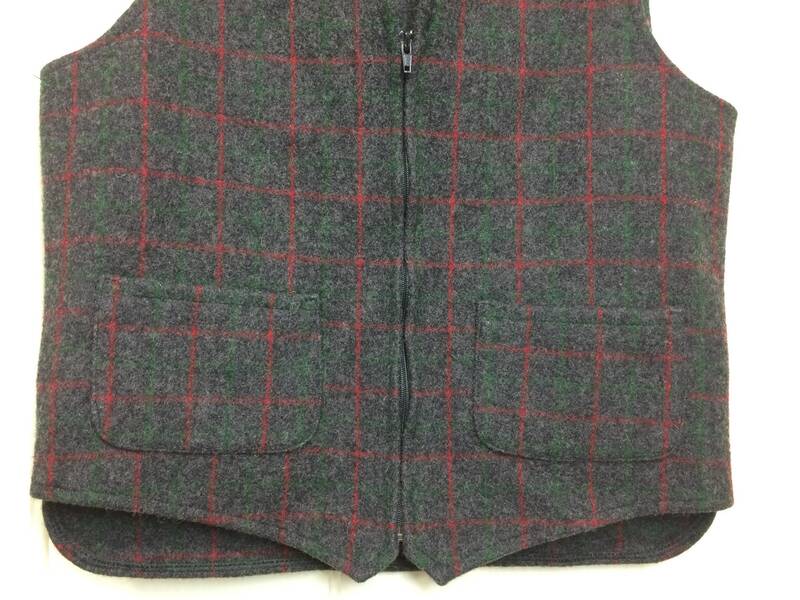 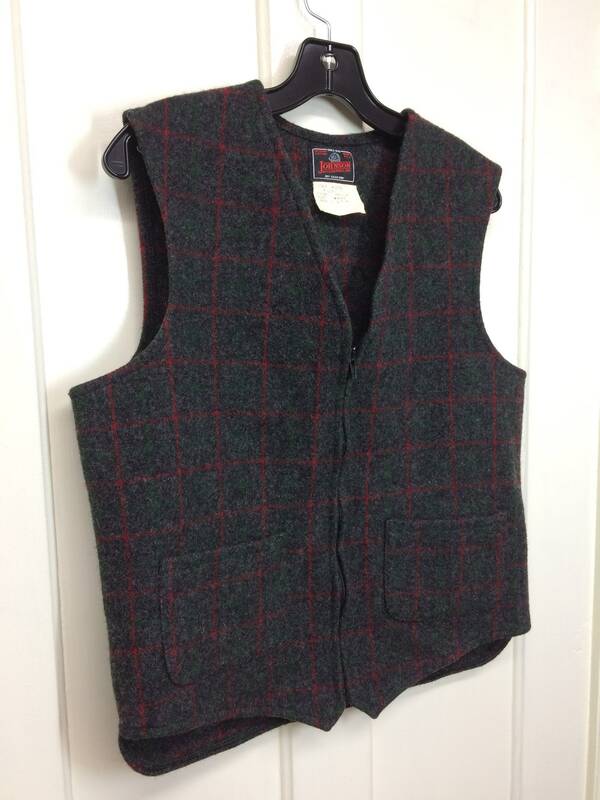 Here's a gray plaid wool work vest from the 1980's. 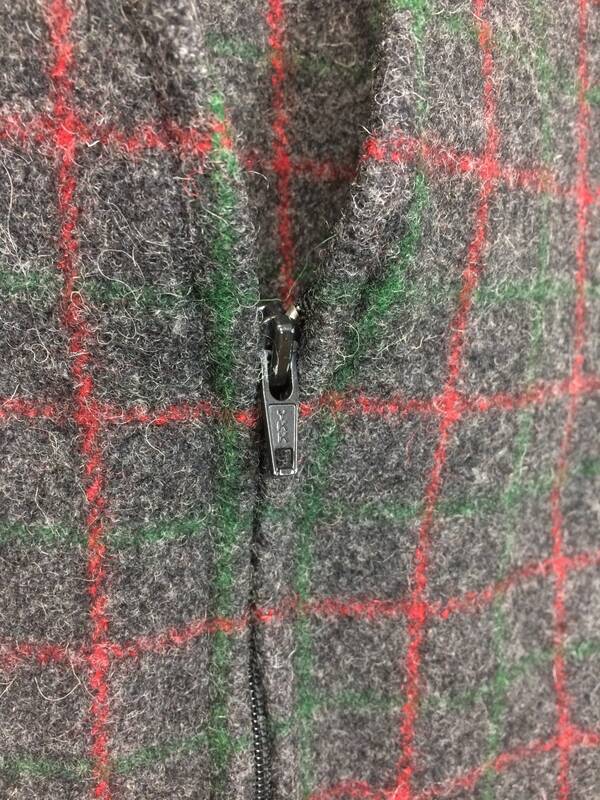 It has a plastic ykk zipper, 2 pockets and a buckle in the back. 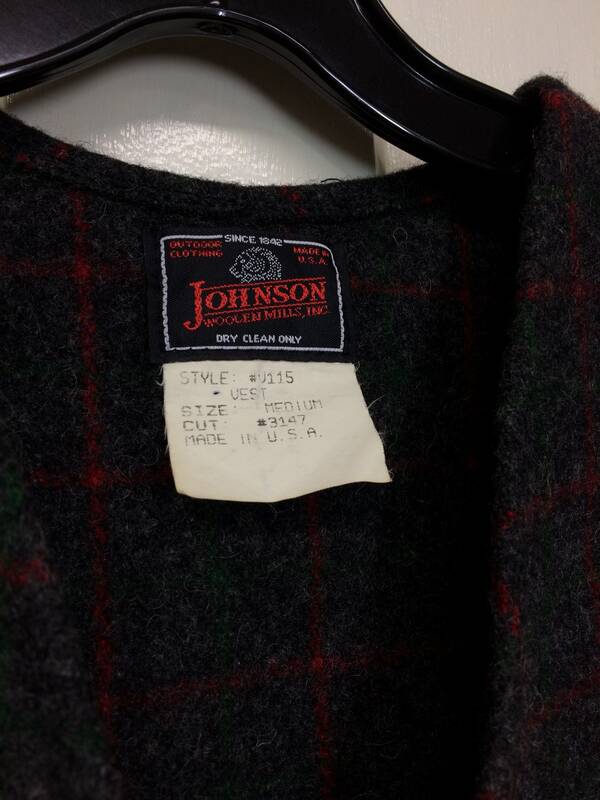 It's in excellent used condition, no damage.